Parents in California need to know. Drowning is the leading cause of death for children from one to four-years-old in this state. It’s often a quick, silent killer. 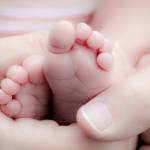 Is your own child at risk – from your own swimming pool or a neighbor’s? In October, Governor Jerry Brown signed Senate Bill 442, legislation to make residential swimming pools safer. What will the new law require? You’re about to get some answers. Swimming pools provide exceptional recreation, but residential swimming pool owners must take every reasonable precaution to keep the fun from turning to tragedy. Parents are obligated to monitor their children near swimming pools and to teach water safety rules. Pool owners must keep pools and the surrounding areas safe and secure. California Senate Bill 442 requires new safety features for new residential swimming pools and for residential pools that are being remodeled or repaired. It also requires a homeowner to disclose any safety problems with the pool when the residence is sold. Why did state lawmakers believe that new swimming pool legislation was called for? Why now? WHAT ARE THE KEY CALIFORNIA DROWNING STATISTICS? According to the California Department of Public Health and the national Centers for Disease Control and Prevention, from 2010 through 2014, more than 160 children died from drowning in California. And from 2010 through 2016, 740 other California children survived near-fatal drowning incidents that resulted in hospitalizations and traumatic brain damage. It’s a growing concern in all parts of the state. The loss of life is tragic, and the cost to California taxpayers for swimming pool injuries is astronomical. Hospitalization and long-term care for just one brain-damaged child can cost up to $5 million. According to the California Department of Developmental Services, when a near-drowning victim is institutionalized, the cost is about $30,000 a month. Last year, 770 near-drowning patients were in state care. Precisely what does Senate Bill 442 do? It revises the California Pool Safety Act of 1996. Owners of new pools and pools with repairs or upgrades that require a building permit must have two safety barriers installed before a final permit is approved. Owners must choose from the barrier options listed below. Barriers must meet ASTM (American Society for Testing and Materials) safety standards. Pools attached to California homes that are being sold must be inspected by a licensed home inspector, and any non-compliance with Senate Bill 442 or the rest of the Pool Safety Act must be disclosed in the inspector’s home defect report. The new legislation also makes the Pool Safety Act – and its enforcement – uniform across the state. WHERE CAN YOU TURN AFTER A DROWNING DEATH OR SWIMMING INJURY? A child’s wrongful death is always tragic. 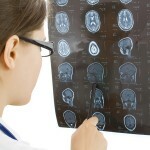 So are the traumatic brain injuries that are so often the result of a near-drowning incident. If you or someone you love has been injured in a swimming pool in southern California, or if you have lost someone you love in a swimming pool incident, discuss your legal situation – promptly – with a skilled Orange County personal injury attorney. California’s statute of limitations restricts the amount of time you have to launch a wrongful death or personal injury lawsuit subsequent to a swimming pool accident. In most cases, and with very limited exceptions under California law, injury victims or surviving family members must bring a legal action within two years of the date of the personal injury or wrongful death. Don’t wait two years or even two weeks after a personal injury or a wrongful death to arrange an initial consultation with a qualified Orange County personal injury attorney. Over time, evidence in a personal injury case may deteriorate or even vanish. The memories of witnesses can fade quickly. The sooner you can put a personal injury lawyer on the case, the more likely you are to receive the full compensation you’ll need. “Premises liability” is the legal term for the liability of a property owner. California property owners have a legal duty to keep their properties safe, to repair any hazardous condition in a reasonable amount of time, and to warn anyone coming onto a property about any existing hazard. If a residential swimming pool owner is negligent, and an accident happens, that owner may be liable. If the owner was not in compliance with the California Pool Safety Act, that non-compliance may be considered evidence of negligence and lead to a quick settlement. Most personal injury and wrongful death cases are settled out of court when the attorneys for both sides meet to negotiate the case. That’s why, in cases arising from swimming pool injuries and fatalities, you must be represented by a personal injury attorney who is a skilled negotiator as well as an experienced civil trial lawyer. Surviving family members whose wrongful death claims prevail can be reimbursed for the victim’s final medical expenses, funeral and burial costs, and in some cases, lost earning capacity and loss of consortium. An Orange County personal injury attorney fighting on your behalf will not settle for anything less than the complete compensation you need – and the justice you deserve. Every tragedy is unique. After a swimming injury or a wrongful death, you’ll need a lawyer who offers sound advice tailored to your personal situation and needs. If you or someone you love has been injured in a swimming pool in southern California, or if you have lost a loved one in a swimming pool incident, get justice. Get the legal help you need. It’s your right. 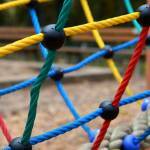 Playground Accidents And Injuries: Who Is Liable?